As Program Manager of the Global Transitional Justice Initiative, Sara Bradshaw assists in the management of the Global Initiative for Justice, Truth and Reconciliation, the Coalition’s flagship program on transitional justice. She previously served as the Coalition’s Development Associate before earning her MSc in Human Rights at the London School of Economics, where she received a departmental grant to conduct her thesis research at the Kigali Genocide Memorial Centre. 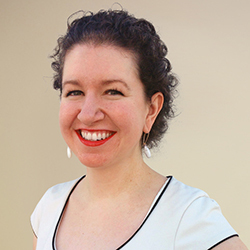 Sara has experience in the education, collections management, and development departments of several New York museums, and she most recently worked in program administration at an intercultural learning organization. Sara also holds a self-designed B.A. in Museum Studies from New York University, where she concentrated on the ethics of ethnic identity museums.